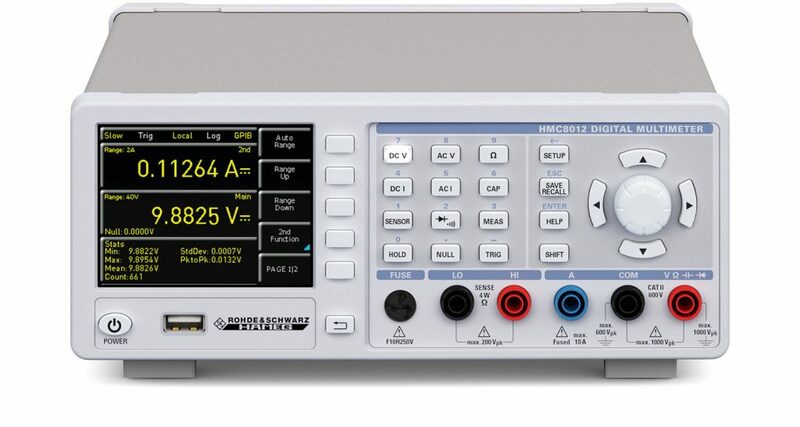 The HMC8012 provides a diverse choice of easily accessible measurement and mathematical functions. 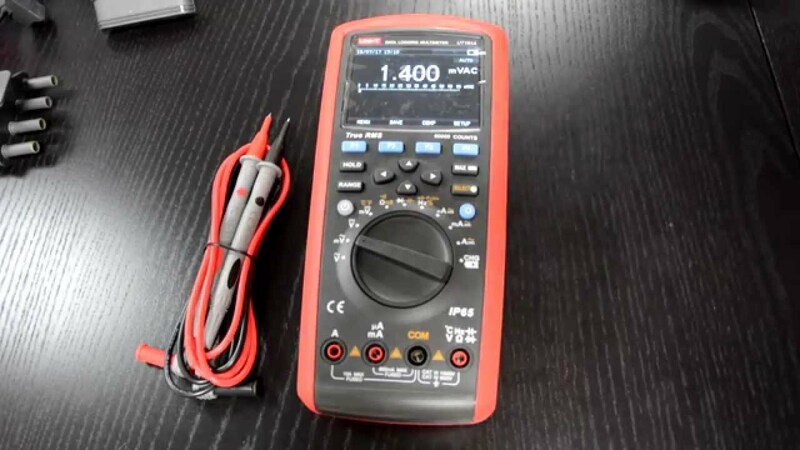 Multimeter is able to simultaneously display up to three measurements that are now even easier to read from a crisp color TFT display. Considering the compact size of HMC8012, it will fit perfectly both on a bench and on a shelf. Other specifications: Measurement range: DC to 100 kHz. Resolution: 1 μV, 100 nA, 1 mΩ, 1 pF, 1 Hz, 0.1 °C/F. Measurement rate: up to 200 values/s. 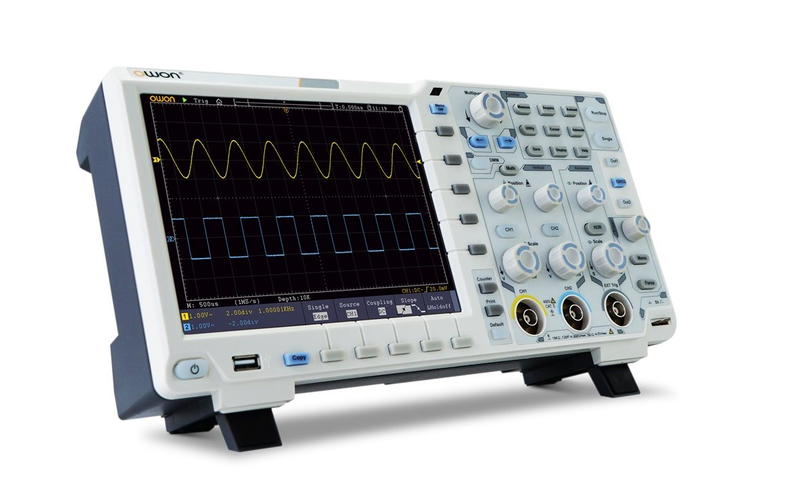 Measurement functions: V (DC), I (DC), V (AC), I (AC), frequency, DC power, resistance (two and four-wire), temperature (PT100/PT500/PT1000), capacitance, diode and continuity test. 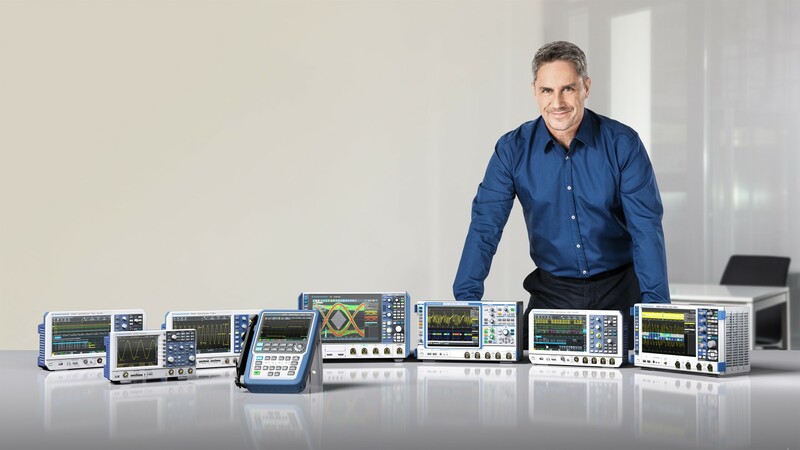 Rohde & Schwarz HMC8012 Digital Multimeter costs ~£650.00 from various distributors online.